Home>Articles>The main pipeline gas: what is hidden behind low prices for gasification? Have you heard about cheap gasification for rural settlements? What is hidden behind small amount of the first payment? The key word here is «the first». That’s because there will be a lot of payments, and the final amount will be much higher than the first expenses. The village is partially gasified. A person who decides to build up/expend is offered to connect to the main pipeline gas for moderate price. The first payment is 30 000 – 60 000 rubles. This is the first payment, as we already know! 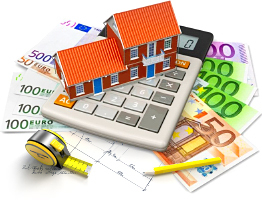 This money is to be spent to realize technical design specification, in the best case also the project. Then there will be agreements, TS (technical specifications) for gas, construction-and-assembling operations and so on. Each meeting will be finished by announcement of new amounts, in fact pulling money out. Additional payments for this and for that. What’s the result? If you are «lucky», you’ll spend 480 000 rubles for gasification. This is the minimum amount ever spent in Moscow region – situations where a resident of private housing was lucky to spend smaller amount are unknown. If you remember, everything started from 30 000- 60 000 rubles. And it continued by installation of forced gas boiler from exact (ONLY THIS ONE!) producer; by chimney bought, similar to the boiler, for double what it costs and so on. Any effort to reduce expenses and make some works individually is suppressed. If you need to install a pipe, for example. You’ll be advised: «It should be moved», for your expense, of course. And if you try to prove that the works realized personally are correct, the process will be temporized, gas supply will not be connected. 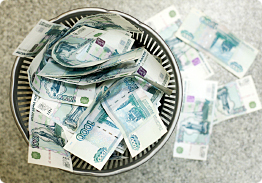 It is impossible to stop the process of pulling money out (until the cost of gas connection exceeds 500 000 rubles), only to lose already invested money. In many cases it happens like this: people refuse «cheap» main pipeline gas and switch to independent gas supply organized on base of gas tanks from «Antonio Merloni». That’s what is hidden behind low prices for gasification. The beginning of the long way. Sometimes backway anyway brings to independent gasification, to ultimate solution. The main pipeline gas: what does it mean? Connection to the main pipeline gas: problems according to the list. The main pipeline gas to the private house: connection cost.